Work from my series Straßenbahn was published along with an interview in this month’s PDN Magazine. Click HERE to check it out. In late 2018 I was kindly asked to jury New England School of Photography’s 3rd annual juried show, the theme of which will be street photography. The cost to submit three images is $25 and selected winners will be included in an exhibition titled Stranger Than Fiction, which will take place from March 20 to April 26, 2019 at NESOP’s Garner Center for Photographic Exhibitions in Waltham, MA. Click HERE for more details. Three Polaroids taken in my old neighborhoods of Cambridge and Somerville, Massachusetts will be included in an upcoming exhibition titled PLACE(HOLDER), curated by Greer Muldowney and taking place at the fantastic nonprofit, Gallery 263 in Cambridge. The exhibition runs from August 16 until September 12, 2018 with an opening reception taking place on Friday, August 24. Click HERE for more details. 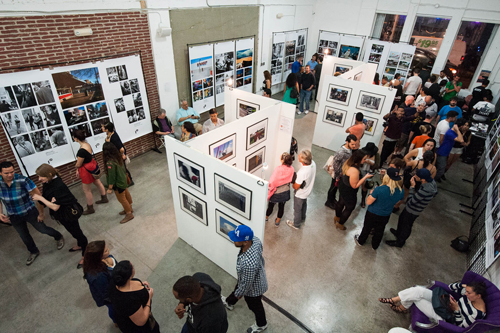 This coming Tuesday, June 12, at the Washington Street Arts Center in Somerville, I will be the guest artist hosting the next Nights at the PRC, a monthly series organized by the Photographic Resource Center. This event will be a street photography themed night where PRC members will be allowed to present their photographs, engage in conversation, and receive constructive and supportive feedback on their work. For more information, please visit the Facebook event page or go to the PRC website and consider becoming a member. A photo of mine has been included in The Decisive Moment, a group show juried by educator and former National Geographic photographer, Sam Abell. The exhibition takes place at PhotoPlace Gallery in Middlebury, Vermont, and is on view from January 31 until February 24. I'm excited to have a photo of mine included in the current issue of Lapham's Quarterly. My submission to Acuity Press and Photo District News's Street Photography 2016 is one of twenty that have entered the final round juried by Colin Westerbeck. A former curator at the Art Institute of Chicago, Westerbeck also co-authored the book Bystander: A History of Street Photography. As a finalist, my work will be published in Acuity Press's book, Street Photography 2016. A photo of mine will be included in a group exhibition inspired by the above quote by Walker Evans. Titled Stare and curated by Museum of Fine Arts, Boston's Lane Curator of Photographs, Karen Haas, the exhibition will be on view in Boston City Hall's Scollay Square Gallery from May 18 to June 27, 2017 and will open with a reception on May 25 from 5 until 7pm. I'm excited to once again be a part of the annual Miami Street Photography Festival. As a finalist, my work will be on display at the HistoryMiami Museum from November 17 until January 15, 2017. The exhibition will also be highlighted during this year's Art Basel Miami show. A picture I took earlier this year has made it into the Top 100 submissions of the 2016 LensCulture Street Photography Awards. Check it out here. Plans are underway for my first solo exhibtion, which will take place early next year at Buckingham Browne & Nichols School in Cambridge, Massachusetts. Works featured will be from the Central Square project as well as a number of recently made photographs from Boston. The exhibition runs from February 9 to March 9, 2017, and will be accompanied by an artist talk. Two of my photographs will be included in this exhibition curated by Stephanie Dvareckas at the Hynes Convention Center in Boston. The opening reception takes place on Thursday, February 12 from 6 to 8pm. 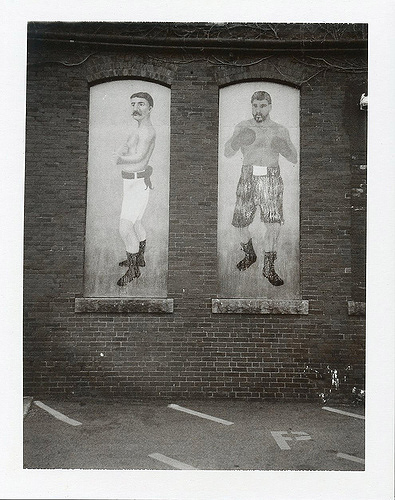 A Polaroid that was taken when I was 7 years old has been included in the Photographic Resource Center's online counterpart to their Early Works exhibition. The online exhibtion can be seen here: Early Works, Online. Some of my recent work will be shown at the upcoming Carousel Slideshow. Hosted by Aviary Gallery, the event takes place on the evening of Saturday, May 3rd, 7 to 10pm at the New Art Center in Newton, Mass. My submission to the 2013 Miami Street Photography Festival has made it into the finals. As a finalist, my work will be on display during this year's Art Basel. My local print lab, Colortek, has me up on their website as this month's featured artist.